Little Girls Acting Like Grown-Ups - This Is So ADORABLE! Every girl has at least a few memories of playing dress up in her childhood! After all, we were always so fascinated with the things our moms did and trying to get ready in the same manner was always so exciting! Her sari, her lipstick, her jewellery… But, of course, it never quite looked as good as it did on her. 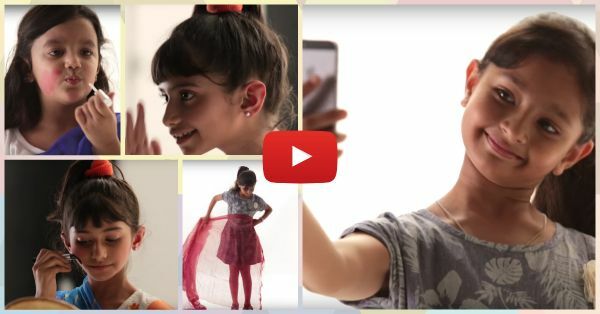 Watch this totally adorable video by Doy in which these young girls try and copy their mothers! It’ll bring a smile to your face and definitely bring some hilarious memories back! PLUS: Subscribe to POPxo on YouTube for original videos + our favourite videos from around the web! MUST-READ: Dear Mom, Here Is Everything I Want You To Know… Love, Me! MUST-READ: If Your Mom Is On Facebook…. You HAVE To Watch This! !